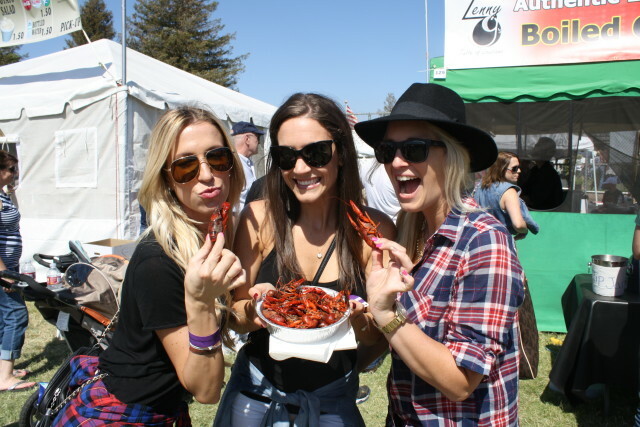 One of our favorite Cajun restaurants in LA will be hosting The Ragin Cajun Crawfish Jamboree tomorrow. On Saturday, April 6th from 11AM -9PM the Seaside Lagoon in Redondo Beach will be filled with the aroma of delicious food and the sounds of Zydeco, Bluegrass and Rockabilly. Rajin Cajun is having live crawfish and shrimp shipped in from Louisiana for a big boil. There will also be other Cajun favorites for sale from Rajin Cajun as well as other food vendors and food trucks, plus craft beers from LA Louisiana. The musical lineup features The Cherry Poppin’ Daddies, Lisa Haley and The Zydecats, The Hillbenders, Dead Man’s Party (Oingo Boingo Tribute Band) and a Dixieland Band. There will also be a Kids Play Area with Crawfish Races, Games, and a special stage show. General admission tickets are $20 with a variety of VIP upgrades and group rates. Kids 12 and Under are Free! Get your tickets here! This entry was posted in Food, Music. Bookmark the permalink.